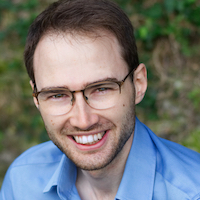 Conductor and pianist Jonathon Swinard is the Head of Music at Garsington Opera and the Artistic Director of the Scottish Opera Young Company. He studied at St Catherine’s College, Oxford, where he held the NCO Répétiteur Scholarship, and the Guildhall School of Music and Drama. He began his career at Scottish Opera as the company’s first Emerging Artist Répétiteur and also held the Alexander Gibson Choral Conducting Fellowship with the Royal Scottish National Orchestra Chorus. From 2014 to 2016 he was Solorepetitor and Kapellmeister at the Staatstheater in Nuremberg where he conducted opera, ballet, and musical theatre. In 2016 he returned to Scottish Opera as Chorus Master and Répétiteur. He studied conducting with Sian Edwards at Dartington and is the Musical Director of the Helensburgh Oratorio Choir. 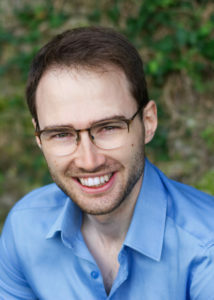 Jonathon is a long-standing member of Faculty for both the Georg Solti Accademia di Bel Canto and Lyric Opera Studio Weimar and is a visiting vocal coach at the Royal Conservatoire of Scotland, Royal Academy of Music, and Guildhall School of Music and Drama. 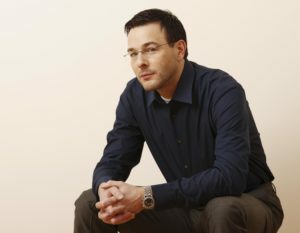 He is passionate about the training of young voices and is the Artistic Director of the Alvarez Young Artists’ Programme at Garsington Opera. This event will take place in the programme of the Oxford Conducting Institute’s International Conducting Studies Conference 2018. William Christie, harpsichordist, conductor, musicologist, and teacher, is the inspiration behind one of the most exciting musical adventures of the last 30 years. A pioneer in the rediscovery of Baroque music, he has introduced the repertoire of 17th- and 18th-century France to a very wide audience across the globe. Born in Buffalo, and educated at Harvard and Yale, William Christie has lived in France since 1971. The turning point in his career came in 1979, when he founded Les Arts Florissants. Major public recognition came in 1987 with the production of Lully’s Atys at the Opéra Comique in Paris. From Charpentier to Rameau, through Couperin, Mondonville, William Christie is the uncontested master of tragédie-lyrique as well as opéra-ballet. But his affection for French music does not preclude him from exploring other European repertoires as Monteverdi, Rossi, Scarlatti, Landi, Purcell, Handel, Mozart, Haydn ou Bach. Notable among his most recent operatic work are Campra’s Les Fêtes vénitiennes in 2015 at Paris’s Opéra Comique and then at the Brooklyn Academy of Music; Rameau, Maître à Danser created at Caen Theater in 2014; Theodora in 2016 at the Théâtre des Champs-Elysées and, in 2018, Handel’s Jephtha at the Opéra de Paris and Ariodante at the Wiener Staatsoper. 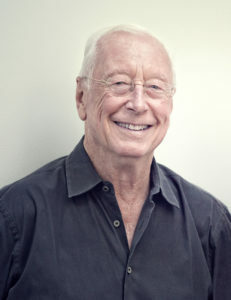 As a guest conductor, William Christie often appears at opera festivals such as Glyndebourne (Giulio Cesare in 2018) or at opera houses such as the Metropolitan Opera of New York, the Zurich Opernhaus, or the Opéra National de Lyon. His extensive discography includes more than 100 recordings. His most recent recordings in “Les Arts Florissants” collection at Harmonia mundi: La Harpe Reine, Un jardin à l’italienne, Bien que l’amour and B Minor Mass (release in Spring 2018). Wishing to develop further his work as a teacher, in 2002 William Christie created, with Les Arts Florissants, a biennial Academy for young singers, Le Jardin des Voix, Now established at Thiré in Vendée, where he lives. Since 2007 he has been artist in residence at the Juilliard School in New York, where he gives master classes twice a year accompanied by the musicians of Les Arts Florissants. 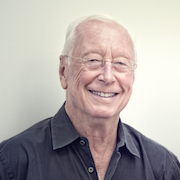 In 2012, he launched the festival Dans les Jardins de William Christie in his own gardens, where he welcomes every summer young musicians from the Juilliard School along with the musicians of Les Arts Florissants. 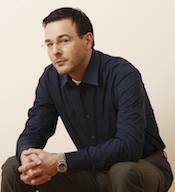 Stephen Langridge is Artistic Director (Opera/Drama) of GöteborgsOperan, the Gothenburg Opera. Having studied Drama at Exeter University, Stephen then spent several years working as assistant director, mostly with the cutting edge company, Opera Factory, but also at Covent Garden, Opera North and Scottish Opera. His own practice developed through a mixture of small-scale tours of cut-down classics with Pimlico Opera, practical laboratories for composers and librettists, and devised music theatre projects, often in unconventional spaces with unconventional people. Underlying all his work is the belief that music theatre is a natural and dynamic form of human expression, to which everybody should have access, both as a creative participant and as an audience. Stephen is well known for his education, development, and training work (projects in France, Spain, Germany, Finland, Holland, Sweden, Senegal, South Africa, and throughout the UK), and for his theatre work in unusual settings, including West Side Story (Bernstein) and Julius Caesar (Shakespeare) with large casts of prisoners in various British high security prisons, and Ngoma, a multi-racial music and theatre project in South African townships. 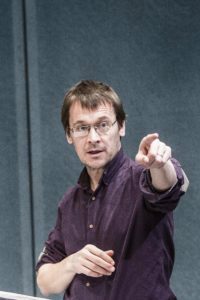 Although his directing work is now often on a larger scale – including productions at many of the world’s leading opera houses – Stephen continues to work off piste incorporating smaller scale experimental and developmental projects as an essential part of his working life. Woman. Alone: Directing opera now. Acting Handel: How to bring the da capo aria to life on stage. Katie Mitchell will draw on her recent experience of directing Handel’s Alcina at the Aix en Provence Festival to run a workshop giving insights into how to make the da capo aria work dramatically. These arias are notoriously difficult for opera singers to perform on stage and the workshop will be offer acting ideas and concrete tips to help the young singer navigate this tricky form. The workshop will take the form of a ‘masterclass’ where young singers are directed live by Katie in front of the audience. There will also be opportunities for some audience participation. Footage of the original production of Alcina will also be seen as part of the workshop. Jane Glover studied at the University of Oxford, where, after graduation, she did her D.Phil. on 17th-century Venetian opera. She holds honorary degrees from several other universities, a personal Professorship at the University of London, and is a Fellow of the Royal College of Music. 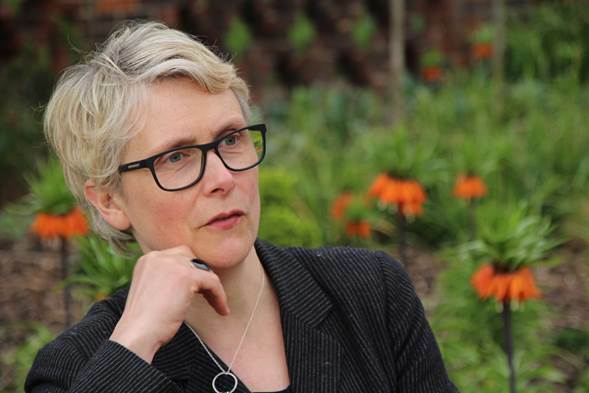 She joined Glyndebourne in 1979, becoming Music Director of Glyndebourne Touring Opera from 1981 to 1985 and Artistic Director of the London Mozart Players from 1984 to 1991. From 1990 to 1995 she served on the Board of Governors of the BBC and was created a CBE in the 2003 New Year’s Honours. She is Director of Opera at the Royal Academy of Music, London, and is also Music Director of Chicago’s Music of the Baroque. Jane Glover has appeared with the Royal Opera, Covent Garden, English National Opera, Glyndebourne and Wexford Festivals, Metropolitan Opera, Berlin Staatsoper, Royal Danish Opera, Opéra National du Rhin, Teatro Real, Madrid, Opéra National de Bordeaux, Teatro La Fenice, Glimmerglass Opera, New York City Opera, Opera Australia, Opera Theatre of St. Louis, Chicago Opera Theater, Luminato, Toronto and Aspen Festivals. Particularly known as a Mozart specialist, her core repertoire also includes Monteverdi, Handel and Britten, who indeed personally influenced and guided her when she was 16, and to whose music she constantly returns. 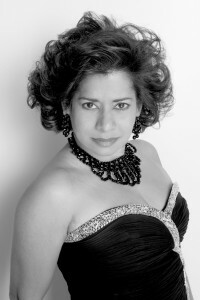 She has performed with all the major symphony and chamber orchestras in Britain, at the BBC Proms as well as with orchestras in Europe, the US, the Far East and Australasia including the Orchestra of St Luke’s, Philadelphia Orchestra, San Francisco Symphony, Houston Symphony, St Louis Symphony, Cincinnati Symphony, Toronto Symphony, Sydney Symphony, Belgrade Philharmonic and Orchestre Nationale de Bordeaux et Aquitaine. She has appeared at the Mostly Mozart Festivals in both New York and London and is especially known for her experience in the choral repertoire. 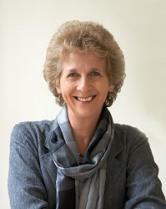 Jane Glover has made many recordings; most recently a series of Haydn Masses for Naxos. Her extensive broadcasting career includes the television series Orchestra and Mozart, and the radio series Opera House and Musical Dynasties, all for the BBC. Her book, Mozart’s Women, received great critical acclaim, and she is currently writing a book on Handel. Engagements in current and future seasons include Le nozze di Figaro in Goteborg, Iphigenie en Aulide for the Met Young Artists and Juilliard, The Rake’s Progress at the Royal Academy of Music, Cosi fan tutte in Aspen and L’Elisir d’amore at Houston Grand Opera. She has concert engagements with Music of the Baroque, the New York Philharmonic, the San Francisco Symphony and the Cleveland Orchestra. 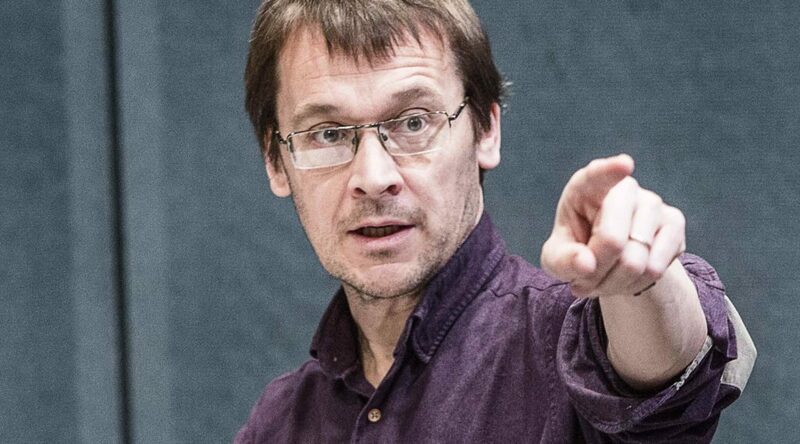 Graham Vick is the Artistic Director of Birmingham Opera Company and works in the world’s major opera houses with the world’s leading conductors: Muti, Levine, Haitink, Gergiev, Runnicles Ozawa, Mehta. He was Director of Productions at Scottish Opera (1984-1987) and at Glyndebourne (1994-2000). His many awards include Italy’s Premio Abbiati five times and Britain’s South Bank Show Award for Opera in both 1999 and 2002. He is a Chevalier de L’Ordre des Arts et des Lettres, Honorary Professor of Music at the University of Birmingham and was Visiting Professor of Opera Studies at Oxford University in 2002/3. He was awarded the CBE in the Queen’s Birthday Honours List in June 2009. His Wagner productions include Die Meistersinger in London, Parsifal in Paris, Tristan und Isolde in Berlin, and Der Ring in Lisbon. Verdi : Macbeth & Otello at La Scala, Falstaff in London , Don Carlo in Paris, Rigoletto in Madrid, Barcelona, Palermo and Firenze. Mozart: Die Zauberflote Salzburg Festival and Da Ponte trilogy at Glyndebourne and Mitridate in London and A Coruna. He directed the world premieres of Berio’s Outis at La Scala and Stockhausen’s Mittwoch aus Licht in Birmingham. The Bodleian Library has succeeded in its campaign to save Erismena, the earliest surviving score of an opera in the English language. During recent research, Dr Harry Johnstone, retired Reader in the Music Faculty and Emeritus Fellow of St Anne’s, discovered that Erismena was sold in 1797 at the auction of the library of William and Philip Hayes, who had been successive Heather Professors of Music at the University of Oxford. The acquisition makes it possible for the music manuscript to return home to Oxford. Written by Pietro Francesco Cavalli (1602-1676), the leading Italian opera composer of the mid-17th century, Erismena dates from the 1670s, 30 years before any other Italian operas were known to have been performed in Britain. The manuscript now enriches the Bodleian Library’s outstanding music collection and is an important addition to the Library’s existing holdings of English 17th- and 18th-century opera and theatre music. The score has been part of a private collection and has been studied by only a small number of scholars in the past 50 years. It is one of the most significant British 17th-century music manuscripts to have appeared in recent decades. A public appeal to raise £85,000 needed to acquire this unique manuscript was launched last November. The acquisition has been made possible thanks to the generous donations offered by the members of the general public and grants given by the V & A Purchase Grant Fund, the Friends of the Bodleian, the Friends of the National Libraries, New Chamber Opera and Esmee Fairbairn Foundation. An opera about death and taxis. Pat is a taxi driver with an obsession: Mozart. The Marriage of Figaro is her constant companion in the cab, and Susanna and the rest of the characters are her friends and familiars. She sings along, shouts at them, joins in with their music, adds her own take on it. She cajoles them, bullies them, argues with them. Their dramas become more and more vivid in her mind, more real than the reality of road-rage on the Embankment. Occasionally she’ll pick up a fare, but only if they like Mozart, and only if their destination fits with the shape of her day, her journey, her destination. The “real” world of bus-lanes and BMWs becomes increasingly blurred with the Mozartian world in her head. This is an opera about how we “use” music. What is it for? Why do we need it to fill the silence? What is left when the music stops? As Pat says, “let’s have a little night-music, Susanna, because if we take away the music, all that’s left is the night.” It’s a drama about journeys, maps, the patterns we make to fill up the blank pages, and about what is left to show we’ve been here at all when the journey ends. An eclectic sound-world recreates the strange, surreal mixture in Pat’s head. Mozart plays on the stereo. The “real” world is heard in the form of new music, sometimes super-imposed on the recorded Mozart, sometimes free-standing. The sonic paraphernalia of modern life plays a part in this sound-world too: car-horns, ring-tones, sat-navs, police-cars. This is a portrait in sound of an increasingly disturbing drive through contemporary London, with the inevitable result at the lights in St. Martin’s Lane. Come drive with me. Share my journey. But be careful- Pat might know better than you where you will end up….